From Mission Winery in San Juan Capistrano, the Wine Tours of the Central Coast as well as Oregon Wineries of the Rogue, Willamette and Columbia Valleys, you can expect to experience exceptional wine selections at every destination. If you don't have time to experience each winery, The Jacksonville Inn's Wine Shop may have the finest selection of wines between San Francisco and Portland. Each destination and has been carefully chosen for it's therapeutic connection. Whether a creek side botanical garden, a courtyard waterfall, whirlpool bath, nearby World Class Spa, sauna, steam room, Jacuzzi, or aroma therapies, or just the sound of the wind roaring through red wood trees above your head, therapeutic surprises await at every destination. Throughout this tour through California and Oregon, recreational activities include, hiking, river rafting, and jet skiing, parasailing, windsurfing, horseback riding, snow skiing (seasonally), biking, swimming, kayaking and surfing and in-line skating. Every stop along the way and each chosen resort will steep you in the History of the West. From the Native Americans and the Spanish Rancheros working side by side to build the Missions to the year 1805 on the Columbia River Gorge, where the largest party of Native Americans encountered anywhere along the Oregon Trail met the arriving settlers. The history of the geology and people that forged the Columbia River Gorge and shaped the West can be explored at the Columbia Gorge Discovery Center Historical Museum. There are three unforgettable adventure excursions you won't want to miss after leaving the obvious attractions of Southern California are which include Disneyland and California Adventure, Sea World and or The San Diego Zoo, and The Getty Museum. These include a Hellgate Jetboat Excursion through the Rogue River's Hellgate Canyon in Southern Oregon; an excursion train ride on Mount Hood Railroad and a Lake Tahoe Dinner Cruise on the Tahoe Queen Paddlewheeler. A lifetime of memories packed into one vacation! You will savor excellent cuisine beginning in San Juan Capistrano where you may dine in view of the Mission while listening to a soothing fountain and the ringing of the Mission Bells. 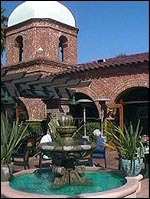 The San Juan Capistrano Restaurant Association welcomes you to dine at any one of their excellent restaurants that offer cuisine from Bavarian and Italian to Early Californian. From the romantic eclectic style bungalows of Arabella Laguna, built in the early 1900's, you have only to cross the street to experience the world famous Las Brisas Restaurant overlooking the vast Pacific Ocean. The Central Coast town of Cambria is filled with shops, galleries and restaurants including Robin's a favorite spot serving recipes inspired from around the world and walking distance from Bluebird Inn. Just follow the smell of garlic roasting in butter. 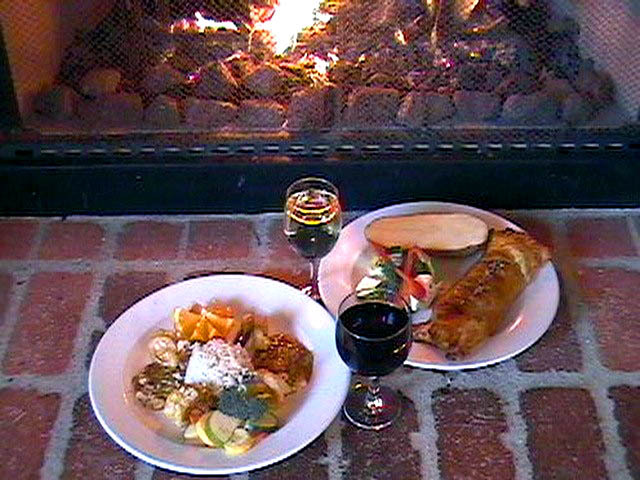 When you reach Oregon you will experience unforgettable Pacific Northwest Cuisine, Dining at award winning restaurants such as the 5 star Jacksonville Inn Restaurant and Columbia Gorge Hotel featuring the World Famous Farm Breakfast and visiting The Dalles Oregon to dine at Windseeker Restaurant where river front dining and incredible signature dishes that have made this the locals favorite spot.